I decided to join this race mainly to challenge myself and see how fast I can go for the 10km distance. Although I started at the back of the pack because I arrived just in time for my wave to start, it was a very good race for me. I tried to push myself a little bit more but it was all that I got. I crossed the finish line in 55 minutes and 26 seconds. 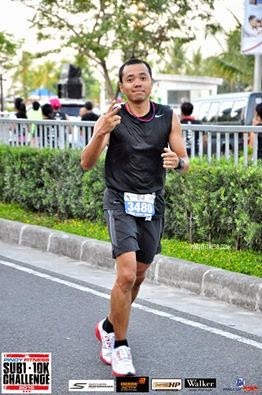 Kudos to Pinoy Fitness and to the sponsors for a very good race. Looking forward to challenge myself again next year. Thank you Lord for the blessings.